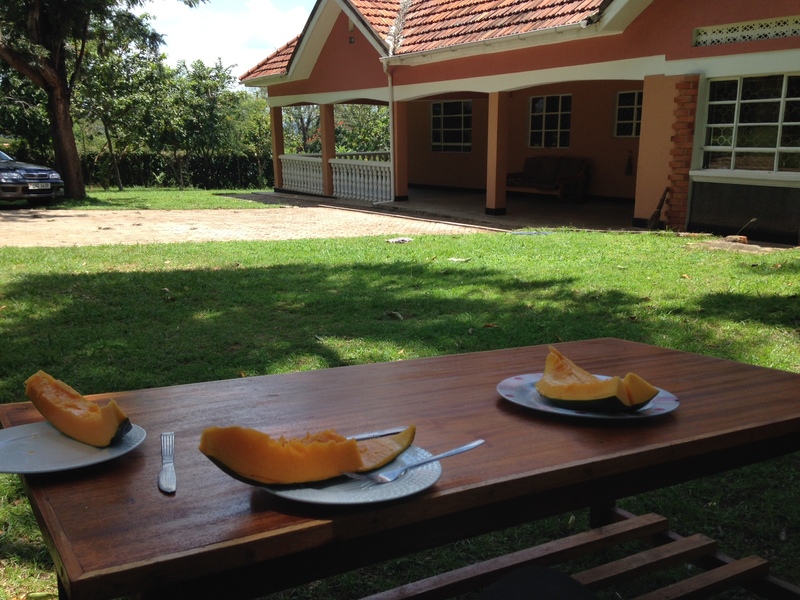 I am back in Kampala now and refreshed from a nice, relaxing visit to Professor Odoi’s weekend home in the country. 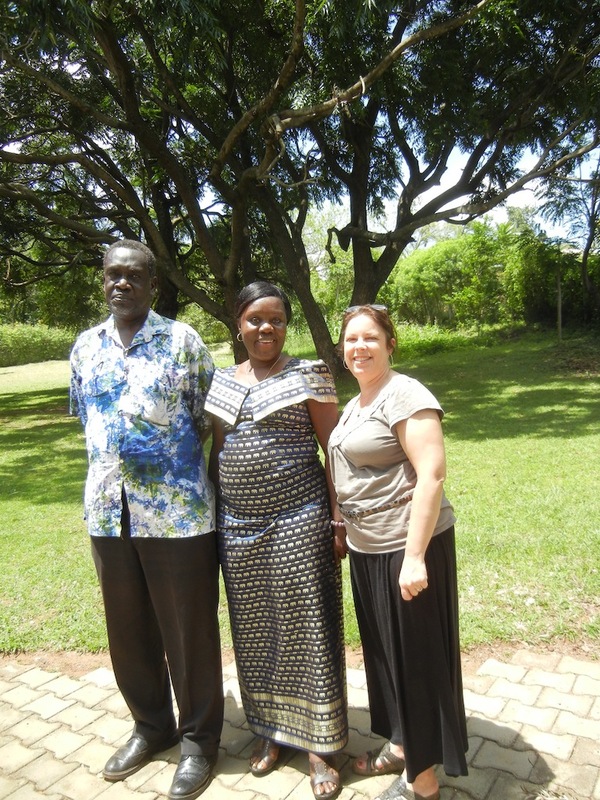 I was invited to accompany Richard and his wife, Nora, to Tororo, which is slightly north and far east of Kampala. 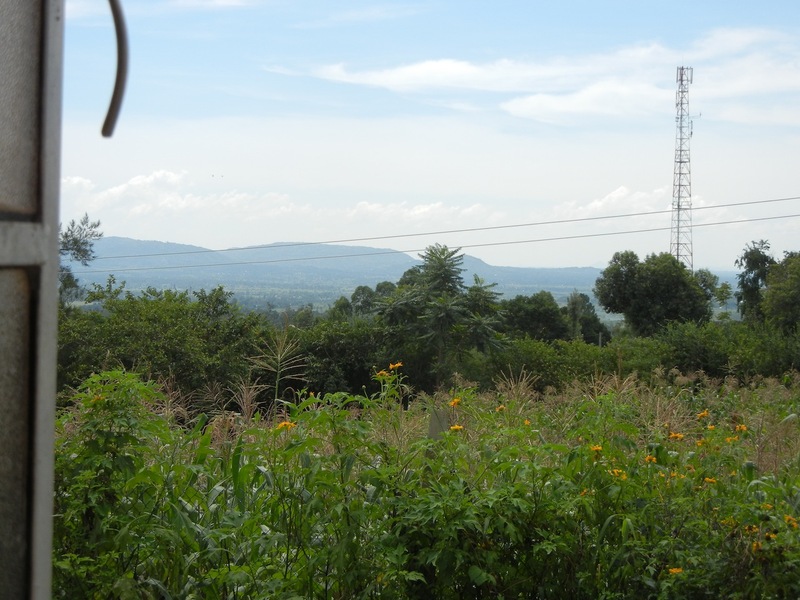 It is actually only a few kilometers from the Kenya border. On the 4.5-hour trip, we stopped several times at roadside stands to gather fresh produce for our meals. This also included a live chicken, which was simply placed in the back of the car with my luggage for the remainder of the trip there. 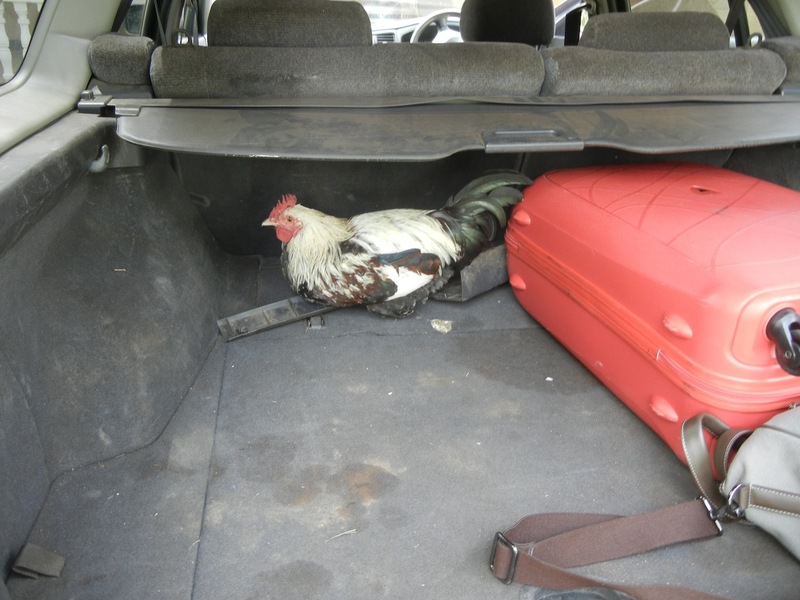 I had to take a picture since it would be a rare site for an American to have a chicken in the car. It was so quiet the whole trip although I had half expected it to be trying to get out and be squawking. But, upon arrival, I found out that the feet are tied so it can’t move around. I’m surprised, though, that it still didn’t make a sound. 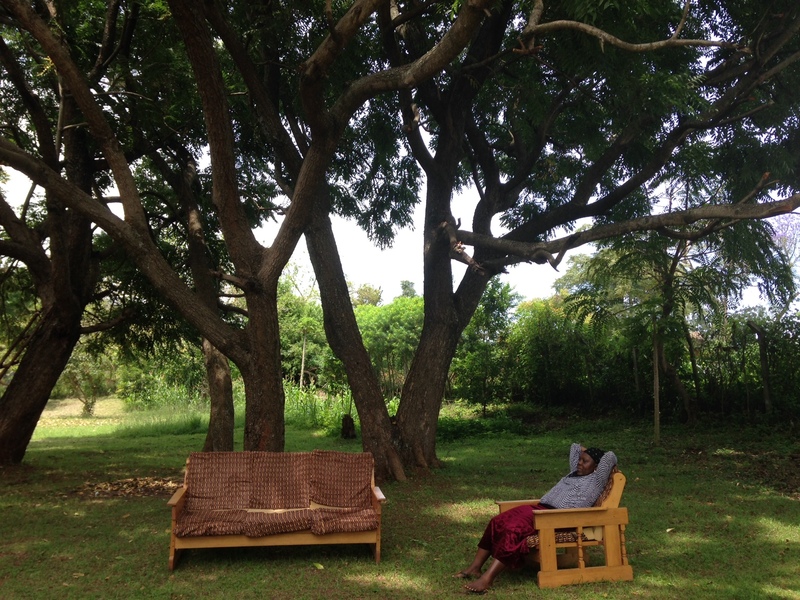 The Professor’s home with its beautiful grounds was a nice oasis from the busy traffic, noises, and millions of people in Kampala. I had to bring some work with me but grading papers under the shade of a tree is so much better than doing it at my desk in my bedroom at Edgehouse on Makerere Campus. There was also time for a nice walk which Nora and I took to a hotel with a garden where we sat and relaxed some more. 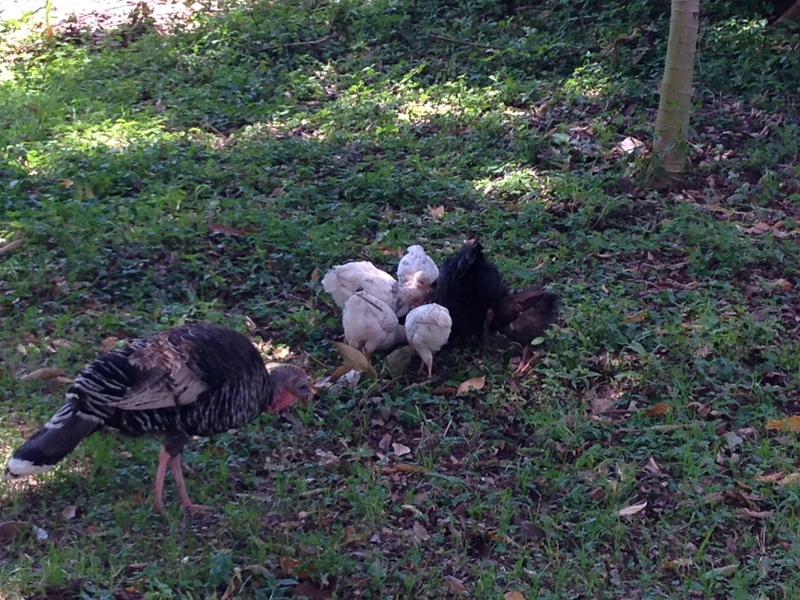 As I graded papers, I enjoyed watching the turkey and chickens wander around the yard looking for tasty nuggets of bugs, I think. These fine creatures belong the the Odoi’s caretaker of the house. On Sunday morning we went together to Sacred Heart Roman Catholic Church and it was jam-packed full of people. 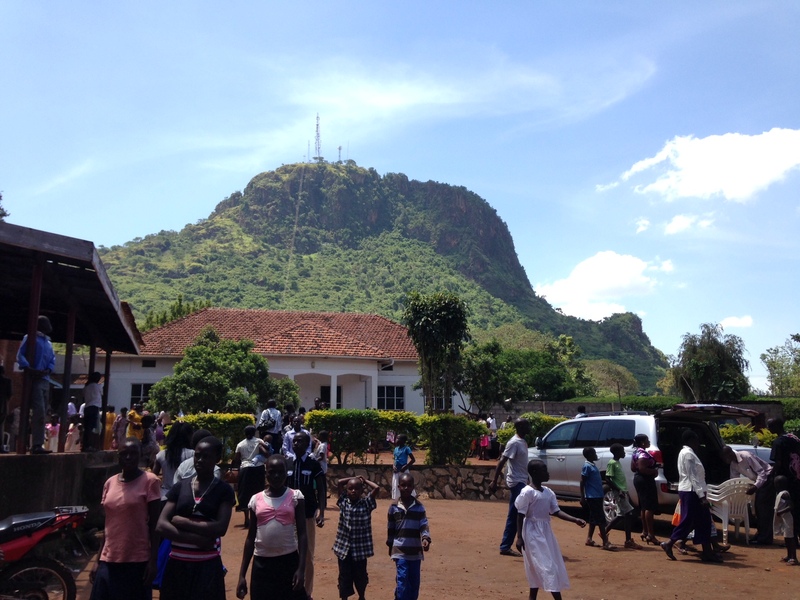 It was definitely the most traditional and formal service I had been to in Uganda. The priest even used incense. I thought this was because it was a festival Sunday- we were celebrating the anniversary (9Nov324) of the dedication of the Basilica of St. John Lateran, which is the Pope’s Cathedral. And they had a wonderful Children’s Choir lead the music, which was accompanied by percussion instruments and what sounded like a Ukulele. It turned out that incense is always used. The service lasted a full 2.5 hours. 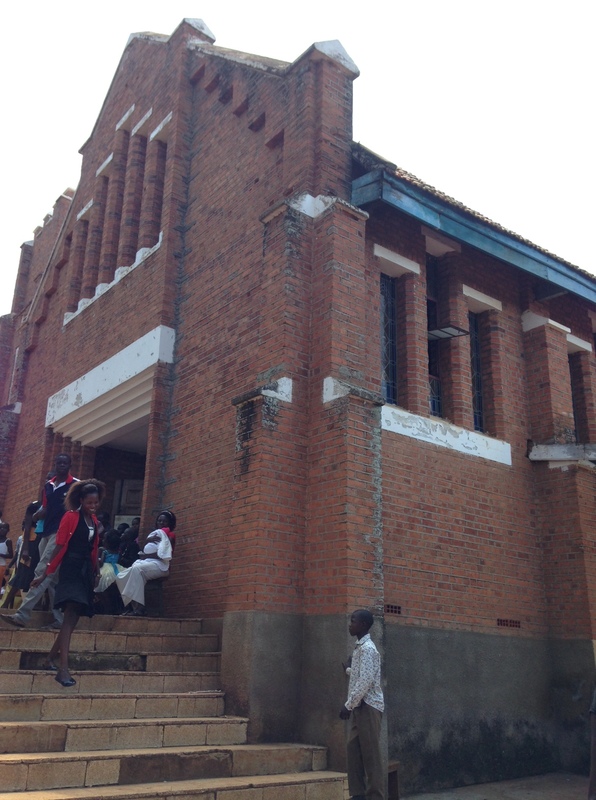 I sat there wishing I could take some photos so I could show Americans- even when we think our churches are full, it is nothing like the Ugandan Churches. This seems to occur regardless of the denomination of Christianity here. It lifts my soul to see so many others engaging in praise and worship through singing, dancing, and clapping, although the body movements at Sacred Heart were quite toned down as compared to every other church I’ve been to here. I can’t speak for the Muslim worship services, since I’ve never been, but I wonder if it is the same as well? All in all it was a lovely weekend and I’m very thankful to the Professor and Nora for sharing it with me. This entry was posted in Fulbright Specialist Project, My Safari (My Journey/Adventure) and tagged Fulbright Specialist Program, Global Health, Global Pharmacy, international pharmacy, Makerere University Department of Pharmacy, Tororo, Uganda, Wilkes University. Bookmark the permalink.